Piers has given a taste of what is to come early this winter. The Daily Express has a rather alarming headline about a Wall of Snow to hit the UK, however that is the headline writers not necessarily the content nor what Piers himself has said. ← Endangered Shorebirds? Blame Climate Change! Hello. Just been on Gavs weather vids and he is saying that according to the models we are about to go into an Atlantic pattern with temperatures in double figures later this weekending the 30 November. It seems somewhat at odds with what I have just read from Piers and the Daily Express of course. Has anybody any comments on this? Also the Perspecta Weather comment earlier on this year which spoke of the weather patterns being similar to the 62-63 winter, I had just left school, I remember it well…..cold! Any thoughts on this? If any of you reply please be aware that I am a semi retired Bricklayer and NOT a scientist, just interested in the weather. Hi Bryan. I’ve not seen the Dec forecast as yet so not sure if Piers has predicted the Atlantic energy we see coming although it does contrast with what was expected for late Nov. We did see the cold and snow (Isle of Wight and a few other places have seen snow the past few days) but not at the magnitude expected. I’m sure Piers will let us know his thoughts on the days ahead. He’s not infallible but he does pick up jetstream movements way ahead of time. Sometimes he’s bang on, other times he’s quite close to the mark. Usually a forecast of 8 periods has 6 right and I wouldn’t be surprised if the outlook shifts suddenly – years of watching models has taught me that 😂 Often these arise following lunar and solar action. However an Atlantic influenced period seems cert into next week although it may ease to give grey yuck. I just hope on a personal level we get some clear skies as fog and frost are something for the eye to behold. Grey ledden skies not so much. Snow always possible on a northern airstream with a passing low. That’s just my personal take. Be interesting what Piers thinks lies ahead. Jan may be of particular note. 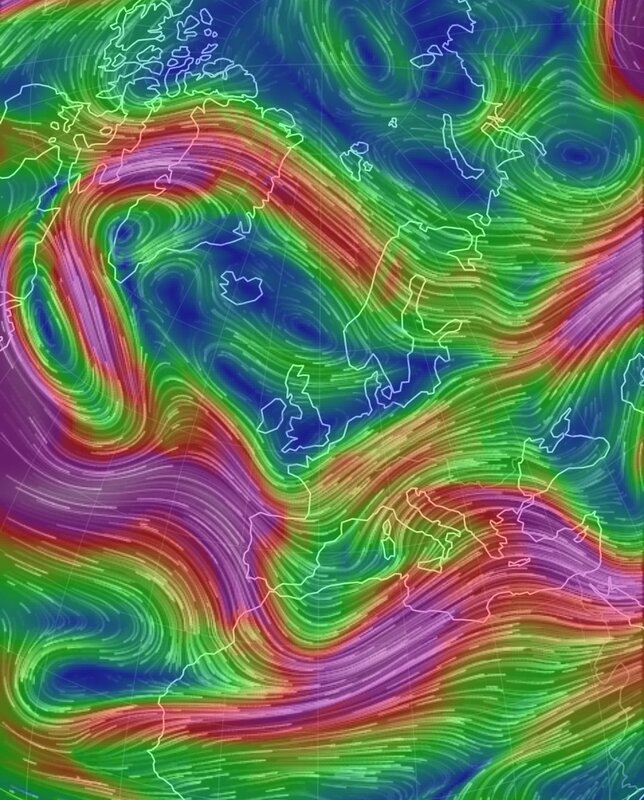 the jet stream to twist and sweep southwards pulling a plume of freezing air in from the North Pole. The synoptic pattern coming is spot on with his Nov forecast, just that the temps won’t be bitter cold for Nov 30….but deep Low Pressures moving W to E over Scotland. pM air masses rarely bring extreme cold….